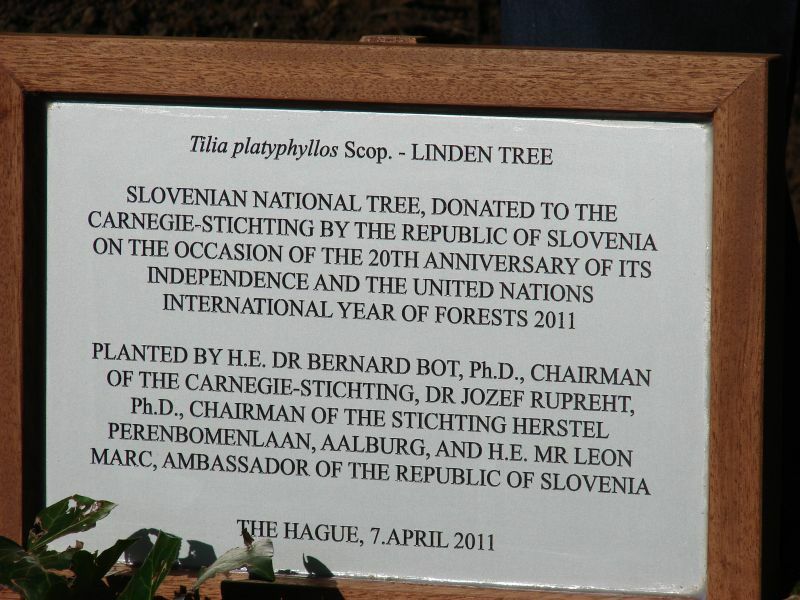 Den Haag, 7 April 2011 - In the gardens of the Peace Palace a ceremony of the linden tree planting took place on the occasion of the 20th anniversary of the Slovenian independence and the international year of forests. 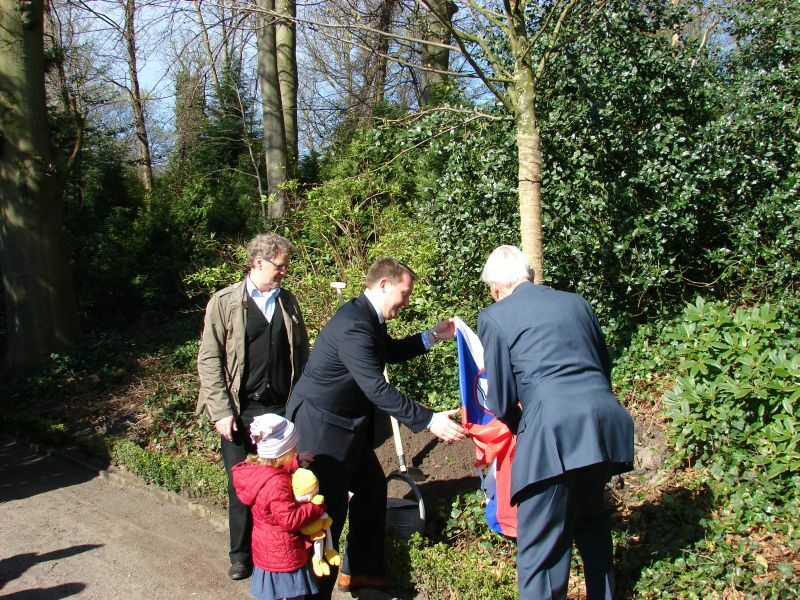 The Slovenian national tree was planted by Dr Bernard Bot, Dr Joseph Rupreht and Ambassador Leon Marc, and was witnessed by more than a hundred guests from all walks of life. The linden tree (alos lime tree or Tilia in Latin) has been a national symbol of Slovenians from the times immemorial and is also an important symbol for some other Slavic nations. Tree and forests remain one of Slovenia's main natural treasures. Forests cover 58.5% of the national territory, making Slovenia the third most forested country in Europe after Sweden and Finland, and with substantial wood and wood-processing industry. Slovenian forests are dominated by beech, fir and oak.